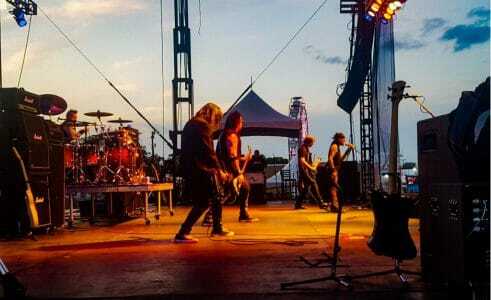 Bang Tango have reunited with rhythm guitarist Drew Fortier who was back in the line-up for the group’s gig at the Iowa State Fair in Des Moines, Iowa, USA on August 12, 2017. Fortier first played with Bang Tango in 2015. 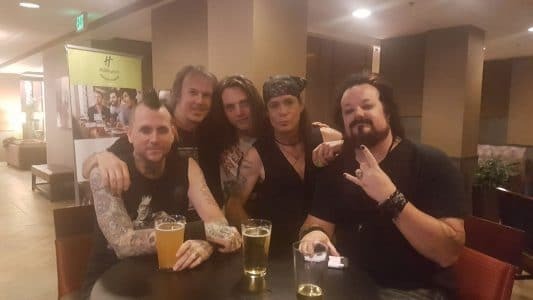 In an interview with Sleaze Roxx back in September 2015, Fortier explained how he ended joining Bang Tango in the first place: “Oh man — that’s a fun dream come true moment for me (laughs). Being involved with the band for four years, I always said “Hey…. you knoooooow…. if you guys ever need a rhythm guitar player just let me know!” Back in April of this year, I screened the movie in Chicago. The band was in attendance and it went amazing. Everyone loved it — even Joe [Leste]! Then they played a gig in Chicago that same week and I played rhythm guitar with them for fun. It meant a lot to me — great moment. Then they take off and continue their tour. 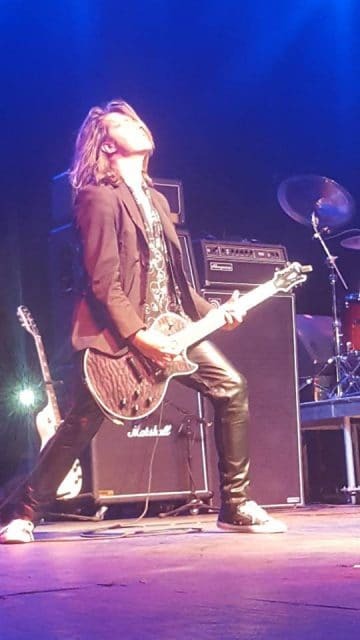 Speaking exclusively to Sleaze Roxx today, Fortier described what led to his departure and what he did in the meantime as he stated: “Life had gotten in the way a little bit and I took some time off and I kind of ventured off into the wild for the year I was gone. I had written and recorded the Zen From Mars album with [singer] Stephen [Shareaux], [bassist] Chip [Z’Nuff], [drummer] Mike [Heller], [guitarist] Brynn [Arens] and [keyboardist] Kate [Catalina] which is finally finished and being mixed by the amazing Richard Easterling. I then hooked up with Chuck Mosley [Faith No More] and did some shows with him. I absolutely adore Chuck and his band, I might be popping up again with them soon too but either way everyone should catch him on tour. I also began working as Operations Coordinator for Dave Ellefson and Thom Hazaert and their EMP Record Label, which has been amazing to be a part of and have learned so much about the music industry from them. I also had met an incredible girl that along with her and her two wonderful kids, have shot me up with a new lease on life, which feels amazing. Finally, I got cast as a lead in a movie called Her Name Was Christa written, directed and starring James L. Edwards. Uploaded by Kevin Miller on 2017-08-13.